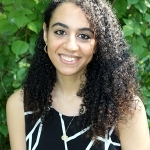 Aida (pronounced “Ida”) is a recent graduate of Boston University, where she coordinated, chaired, or interned at organizations such as the ACLU, FMHT, CODEPINK, the Muslim Interscholastic Tournament and Islington’s Center for Refugees and Migrants in the UK. 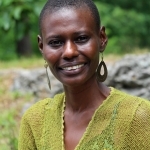 She has a passion for racial justice and youth development, and is an expert in Middle East and North African studies. She also speaks three languages besides English: French, Spanish, and Arabic! In her role as Assistant to the Upper Division, she will work closely with Caroline Beasley, and manage other administrative tasks such coordinating substitute teachers. Nyla has been a mainstay of Summer at Park for many years, working with young campers at Books That Cook and the Lily Pad. A natural with children, Nyla also loves animals and hopes to become a veterinarian. After graduating from Weston High School in 2017, she spent a year in the pre-vet track at Tuskegee University in Alabama. This fall, Nyla will continue her studies at Becker College in Worcester while working at the After-School Program in the afternoons. Lauren Capitani came to teaching late. At 29 – after a master’s degree in journalism, an MBA, subsequent careers in both fields, and lots of unrest – she left her strategic management consulting post to become an intern teacher at an elementary boys’ school. She has remained in education in the time since, teaching in top private schools in San Francisco, New York, and La Jolla, California; and in pubic school in New Mexico. Lauren spent two years managing reading curriculum at Scholastic, and has consulted with many education programs. In 2015, she moved across the country and decided to take time off from full-time teaching to help get her family settled. 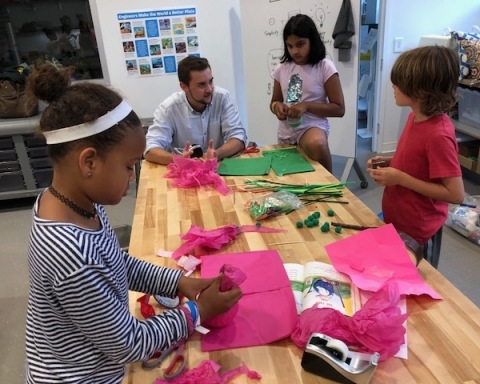 Since settling in Belmont, Lauren joined the board of the Foundation for Belmont Education, interviews for Georgetown University, and co-chaired the elementary fourth-grade send off, and is a TA for Stanford GSB’s LEAD program, a grad-level design-thinking certification. She holds a BA from Georgetown, an MSJ from Northwestern, an MBA from Stanford, and a CLAD K-5 Teaching Credential from CalState East Bay. 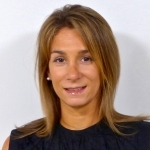 A native of Barcelona, Spain, Mercè earned an MA in educational technology from the University of Barcelona, after receiving an MA in elementary and secondary school education and a BA in English from the Autonomous University of Barcelona. 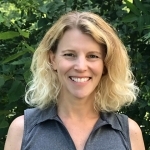 Since arriving in the United States in 1996, she has worked in Minneapolis as well as the Fessenden School and the Chestnut Hill School. She is an invested teacher, passionate technologist, life-long learner, world traveler, compulsive photographer (who takes pictures of everything and anything), go-doer and bargain shopper. Mercè is eager to integrate technology academically, creatively, and responsibly with Park’s faculty and students. 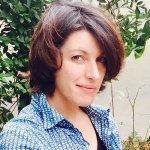 Among other professional and academic endeavors, Mercè is a frequent presenter at national and international conferences and has also been a guest on several educational radio shows. Abigail brings a deep curiosity as well as varied experience to her role as the Assistant to the Lower & Middle Division Head. Her experiences growing up in Scotland and traveling the world have taught her that life is always a surprise, and a delightful one at that! 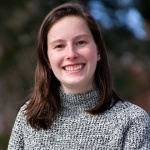 Abigail, who holds a BA in English language and literature from Gordon College and an MLS from Simmons School of Library and Information Sciences, also studied education briefly. Having spent many volunteer hours working with children, she is right at home at a lunch table surrounded by first, second, and third graders. She’s equally at home among spreadsheets and calendars, and loves getting to know grown-up community members. Before coming to Park, Abigail was running her own business maintaining short-term rentals. Amanda is excited to join the faculty after having served as a substitute teacher in the Lower Division at The Park School for the last three years. 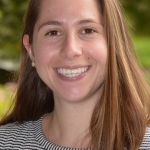 Amanda earned her AB in sociology from Harvard College, participated in two fellowships in child development at Yale University and earned an MEd in human development from the Harvard Graduate School of Education. At home, Amanda has three daughters, the oldest of whom will be entering Kindergarten at Park. When she has free time, Amanda enjoys skiing, hiking, reading, cooking and peace and quiet. Amanda is a native of Seattle and the farthest away from home she has traveled is to Easter Island. 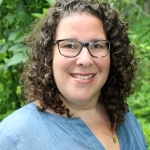 Beth is a graduate of Milton Academy and Duke University and holds masters degrees in Early Childhood Education from Lesley University and from the Mind, Brain, and Education program at the Harvard Graduate School of Education. 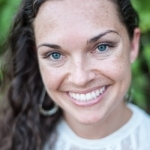 In addition to her years as a classroom teacher, six of which she spent as a kindergarten teacher at BB&N, Beth has worked as a curriculum consultant for Scholastic Education, a math evaluator at Children’s Hospital, and as a children’s mindfulness and yoga teacher. Beth also served as a family-leave substitute teacher in the Kindergarten here at Park during the 2015-16 school year. 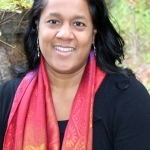 Most recently, she has been working as an educational therapist and consultant, and as a contributing author on the development of a Social and Emotional Learning Curriculum at the Easel Laboratory at Harvard. A double major in psychology and gender & sexuality studies at Stonehill College, Courtney has been working with children since 2014 when she became a counselor at Camp Shriver, an inclusion-based sports camp for school-age kids in the Brockton area. She spent a year at the Hilltop Lutheran Neighborhood Center in Wilmington, DE, and returned to her native Massachusetts, to be closer to family, friends, and Fenway Park! In 2017-18, Courtney was a Teaching Apprentice at Park, working in Grades II and III, and stepped into the role of Grade II Assistant in the spring. She’s very excited to “move up” to third grade with her second graders and see them grow even more! 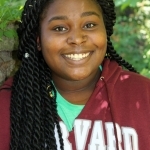 In addition to working as a counselor on the Lily Pad with Summer at Park this past summer, Courtney is enrolled at Boston College’s Education School, and expects to graduate with an MEd in Elementary Education and Moderate Disabilities in May 2020. Growing up in Portland, Oregon, Taylor attended a Waldorf school, taking great inspiration from its holistic, arts-rich curriculum. Taylor studied international affairs and history at Northeastern, studying peace and conflict in Northern Ireland and South Africa. As a teacher, she is interested in how equity and inclusion in early childhood education prepare young people to be strong community members and global citizens. Taylor has taught Kindergarten, sixth grade, and high school. She comes to Park from Stony Brook Preschool in Jamaica Plain, where she shared her passion for story and song with her students by weaving music into her teaching throughout the school day. She now shares her time between education and music, performing around New England with her band, Hawthorn, and a variety of other folk music projects. Taylor also teaches parent-child music classes, runs an acoustic house concert series, and enjoys yoga, running, and dancing. Audrey graduated from Boston College in 2017 with a major in history and minor in Hispanic studies. As a college student, Audrey got to know the Park community while babysitting for a Park family. After four years of attending Park School events such as Bingo Night and Springfest, she was delighted to accept a position in the Development Office. Audrey loves to ski, hike, run, and just be outside. She is excited and grateful to be starting her career at Park! 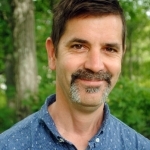 Before becoming a music teacher, Erik earned a BA in Russian language and literature from Boston University, and lived for several years in Moscow, gaining fluency in Russian and studying music. Erik also earned an MA in music education from The Boston Conservatory in 2007. He comes to Park from the May Center School for Autism and Developmental Disabilities, where he worked alongside his wife Jennifer, an art teacher. They live in Hyde Park with their four children, and their after-school activities include camping, interpretive dance, and Lego. His vision of music education as a force for positive change in our communities has led him to become involved in the Honk! Festival of Activist Street Bands, and the School of Honk! In addition to performing around the Boston area with his own brass band, he still tours occasionally with his old band from Moscow. Erik is excited to become a part of the diverse, creative, and distinguished Park School community. Christy graduated from Johns Hopkins University in 2009 with a BA in economics and psychology. After three years working as a bond trader, she came to understand that she was not passionate about finance and decided to pursue her love of teaching and working with young people. She earned an MEd at Boston College, and began her teaching career near her hometown of Philadelphia. While working at The Baldwin School, she taught middle school math as well as upper school economics. Christy loves helping students problem solve as a means to develop their understanding and skills. She also enjoys learning and incorporating technology into her lessons. While Christy loves travel, being outdoors, and exercise, her spare time has recently been overtaken by her new baby boy, Owen. She is greatly looking forward to joining the Park community. 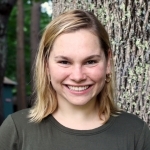 Meghan is thrilled to bring her passion for instilling global competence in young children to the Park community. She holds a BA from UMass Amherst in psychology and dance, and an MEd from Lesley University with a focus on creative arts in learning. Meghan taught Kindergarten and first grade in Newton for 9 years, then moved to Austin, TX to serve as a classroom mentor at Integrity Academy – an innovative, alternative school. A lifelong dancer, Meghan enjoys weaving creative movement, music, and yoga into the curriculum. She is also a proud member of Jean Appolon Expressions – a contemporary Haitian non-profit dance company, which offers free, summer dance institutes for youth in Haiti. 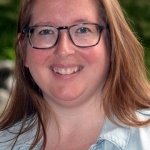 Julie (BA Fitchburg State University, MSW Simmons College), a clinical social worker and psychotherapist who specializes in child and adolescent therapy as well as parent and teacher consultation, is joining Park as a part-time school counselor. She has maintained a private practice as well as working in community mental health, most recently at the Home for Little Wanderers. 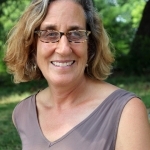 Julie has spent many years working to reduce school suspension and expulsion by supporting teachers’ understanding of the social and emotional needs of students as well as raising awareness about implicit bias. Julie is beyond excited to join Park and to be a part of the community’s commitment to social emotional learning. In her spare time, Julie enjoys being outdoors with her family, especially sons James (6) and George (1). A December 2017 addition to the Development Office, Shannon is thrilled for her first full school year as Park’s Director of Capital Giving. 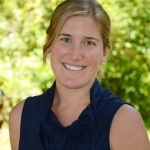 An experienced independent school fundraiser, Shannon was the associate director of advancement at Kingsley Montessori School in the Back Bay and the assistant director of development at Tower School in Marblehead before joining the Park community. She received her BA in political science from Wheaton College . Shannon is excited to help bring Park’s next chapter to life as the School embarks on a forthcoming capital campaign. In the summer, Shannon enjoys time at her family home on Tinmouth Pond in southern Vermont. In the winter, she’s likely to be at TD Garden cheering for the Celtics. Shannon lives in Jamaica Plain with her cat, Rondo. 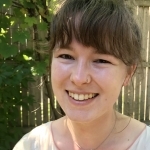 After substitute teaching in nearly every grade level at Park last spring, Caitlin (BA French, Reed College; MFA Writing for Young People, Lesley University) looks forward to working with Middle and Upper Division students at ASP. 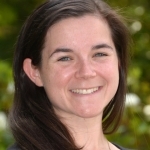 A Park alumna, Caitlin worked in the ASP program and as an assistant teacher in Grade V during the 2012-13 school year. She then moved to the Seattle area to teach kindergarten in her own classroom at The Evergreen School. In an ever-changing world, Caitlin is especially excited about Park’s commitment to simplicity and sincerity, and building lasting relationships in its vibrant community. When she’s not at Park, Caitlin spends her time singing and writing songs and stories for young people, alongside her cat, Gus, and her new husband, Colin Robinson. She loves the outdoors, and can be found rock climbing, hiking or practicing yoga. 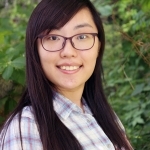 Originally from Shanghai, Cecilia first studied accounting at the Shanghai Industry & Commerce Foreign Language College, before earning her second bachelor’s degree in accounting from Suffolk University in 2018. After working as an accounting intern at CSL International Ltd, Cecilia gained wide-ranging expertise in bookkeeping, accounting, and finance functions. Last year, she volunteered with the Retirement Housing Foundation, which inspired her to work in non-profit organizations, leading her to Park. She loves to discover new types of delicious food, and she enjoys skiing and ice-skating in the winter. Cecilia, who speaks Chinese and Japanese, is very comfortable with multicultural environments, and is thrilled to bring her diversity and professionalism to the Park community. A Boston native and current Somerville resident, Sarah is thrilled to be joining the Park community as the Grade II Teaching Assistant. 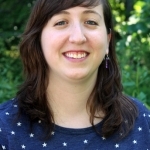 Sarah graduated from Amherst College last May with a degree in Spanish and sociology. 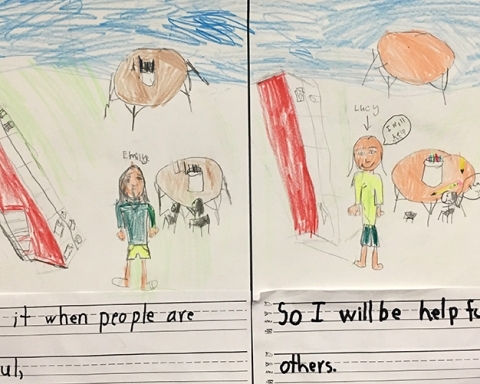 After spending the past year as an intern teacher at The Learning Project Elementary School in Boston, she is excited to further explore her love of education at Park. During the summers, Sarah feeds her artistic side as director of Arlington Children’s Theatre’s Summer Day Program. She is excited to bring her arts education background into the classroom, and she also hopes to get involved in some of Park’s creative extracurricular activities. When she is not teaching, Sarah enjoys cooking, walking in the woods with her dog, and singing in her community choir. She is looking forward to learning from the incredible faculty and students at Park. Jenelle’s career has been closely connected to Park for two decades. While earning her BFA at Pine Manor College, she studied sculpture with longtime Park art teacher Fern Cunningham-Terry. (Jenelle apprenticed with Fern for seven years, assisting in creating several major public sculptures in bronze, including RISE in Mattapan Square.) In 2002-03, she served as a Teaching Apprentice in Park’s Art Department. Last year, Jenelle stepped in to assist Judy Hale with Lower Division art classes, bringing her enthusiasm for teaching and professional knowledge to make a cardboard sculpture installation with the whole Grade I class. A practicing sculptor herself, Jenelle opened an art studio in Beverly to teach nature-inspired art lessons to groups of children as part of a homeschool coop, while maintaining a private studio in her Newton home as well. Michelle Young is thrilled to be joining The Park School as head of the PE Department. She comes to Park with a wealth of experience teaching physical education to students from Pre-K through Grade VIII. Michelle has spent the last 12 years at the Shady Hill School in Cambridge and the previous six years at Derby Academy in Hingham. Throughout the last 20 years, in addition to teaching, Michelle has also coached a variety of sports including baseball, softball, soccer, boys’ & girls’ lacrosse, field hockey, rugby, and ultimate frisbee just to name a few. 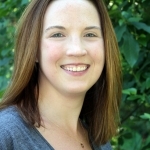 She earned a BA in physical education from the University of Maine at Presque Isle and an MA in curriculum & instructional strategies from the University of New England. Michelle enjoys camping, swimming, biking, and reading before bed with her two sons. She also spends a week volunteering every summer at Camp Fatima of New Jersey. Peter graduated from Lehigh University with a BA in psychology in 1999. 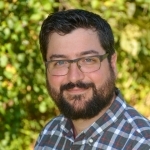 After a brief stint in a human resources department at an investment management firm in Boston, he participated in the JET Program as an assistant English teacher while living in a small town in Fukuoka Prefecture, Japan. It was during this time that Peter first had the opportunity to regularly work with children in a school setting. He came to Park in 2005 as an apprentice, working with Ted Wells in his Grade IV classroom and Kimberly Formisano in her Grade II classroom. He joined the Grade III team the following year and has been learning, growing, and teaching with them ever since. For his 13th year at Park, Peter is looking forward to new opportunities and challenges as part of the Grade II team. Peter enjoys spending his free time with family and friends, cooking and eating good food, and being outside as much as possible. Jamie had been working at Park for two years as the Development Coordinator, and was excited in January to move to the role of Director of Alumni Relations. Getting to know Park’s amazing alumni community has been a highlight of her time at the School, so she is thrilled to continue to have the opportunity to do so in this new role! Jamie graduated from the University of Rochester in 2011 with a BA in psychology, and earned an MS in Criminal Justice from Northeastern University in 2013. After working as a victim witness advocate at the Middlesex District Attorney’s Office, she transitioned to non-profit work at Honor Flight New England before joining the Park Community. In her free time, Jamie enjoys performing in musical theater productions in the greater Boston area, singing with Brookline Acapella, running, and reading. A true “early adopter,” Carole Carter has been a member of Park’s Technology Department since the dawn of the internet. 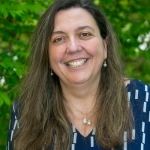 After serving as the director of technology at Shady Hill, Carole returned to Park (she had taught in the Music Department in the 80s) in 1997 to develop the School’s first website. 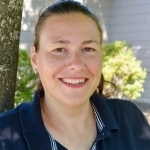 Since then, Carole has been involved in educational technology, faculty training, web development, communications, computer support, and resource deployment. Carole is passionate about the role of technology in education, how technology enhances great teaching, and how we all can embrace and manage new tools in our lives. She is looking forward to supporting Park’s students, faculty & staff, and parents in navigating this sometimes difficult path with more ease. 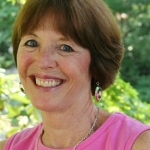 Before joining the Park faculty in 1997, Toni Gilligan worked in the Newton Public Schools for many years. Although Toni officially retired from Park in 2016, she’s continued to stay connected with the School by helping with early childhood admission testing. She returned to the Kindergarten classroom while Jeannie Hahn was on maternity leave in the spring of 2018, and will fill in for Julianne Damaskos during her maternity leave in the fall. When she’s not working with five- and six-year-olds, Toni is reading, traveling, practicing yoga, and taking long walks with her beloved golden retriever. Alice Perera Lucey ’77 is excited to be returning to Park after her year-long sabbatical. 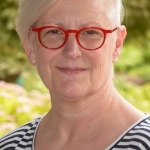 Alice’s varied roles at Park over the past 30 years include teaching in the Middle and Upper Divisions, Secondary School Counseling, and serving as Upper Division Head for eight years. For the 2018-19 school year, Alice will be the Advisory Coordinator in the Upper Division and a Faculty Evaluator in addition to other administrative roles. Alice is looking forward to spending time with students as a Grade VI advisor and a Grade VII Growth Education teacher. 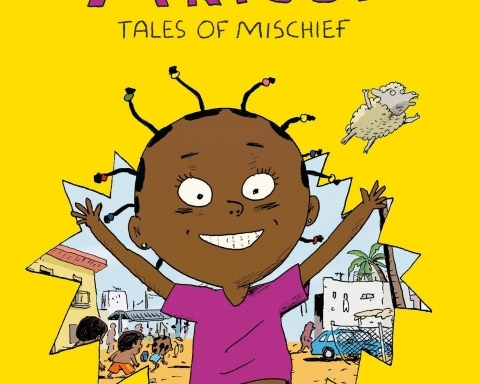 We welcome Alice back from her sabbatical – be sure to ask her about the many books she read and about her many travel adventures. Elizabeth (Liz) Neilson will be working alongside Sue Segar as a Lower Division Literacy Specialist for the coming year. 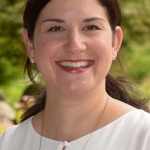 Elizabeth earned an MA in English and education from Connecticut College and a master’s degree in English from Northeastern University. 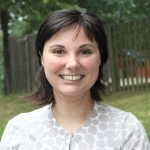 In the last five years, Elizabeth has been a member of the Academic Support Department at Park. 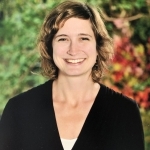 Previously, she taught at the high school and college level and tutored at Carroll School, Concord Academy, and privately with students applying to colleges. She is thrilled to work directly with the Lower Division teachers at Park who are truly delightful human beings! A graduate of Boston College with a degree in French Studies, Paul’s first teaching job was in the Loire Valley of France in 2008. His connection to Park dates back to 2001, when he signed on as a camp counselor with Summer at Park. 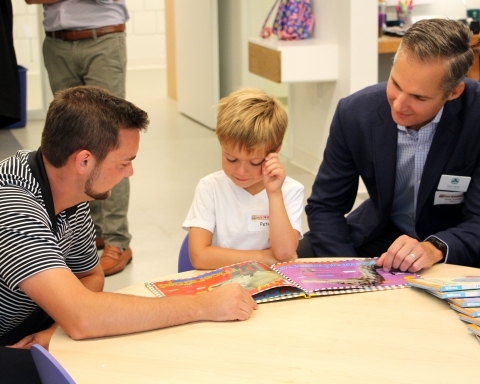 After returning stateside, he joined Park year-round, first as an Apprentice in Grades I and III, then as an Associate Teacher in Pre-Kindergarten. He then became the Grade III Assistant when the role was created in 2013. In the fall of 2016, he stepped in to cover a leave of absence, leading his own Grade III class during the 2016-17 school year. 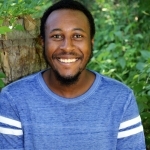 Concurrently, Paul has been working towards his master’s in elementary education and creative arts in Learning from Lesley University. Both in- and outside the classroom, Paul loves exploration, discovery, problem-solving, getting lost in books, and stewarding the planet we call home. He is excited to share these passions with his students, and he could not be happier to be teaching Grade III this fall! Alli taught Grade III from 2008 until 2016 when her son was unexpectedly diagnosed with a severe medical condition. Since then, she’s been tutoring students privately and returned to Park as a substitute last year. She is thrilled with her new role: working with fourth and fifth graders in Academic Support. Alli (A.B. Bowdoin College; M.Ed. Lesley University) brings both a warm, caring personality and a track record of effectiveness in engaging and motivating students with differing learning styles. Lauren graduated from Wellesley College this spring with a degree in American Studies and English. During her college studies, she was fortunate to take classes in an array of subjects including media studies, visual culture and history, and child welfare. 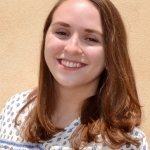 This past year Lauren was a student-teacher at The Dana Hall School in the Upper School English Department where she worked with ninth and twelfth graders. When she is not in the classroom, Lauren is an assistant director of a summer camp in China, Maine. She enjoys playing rugby, hiking, and swimming. Lauren is excited to join the Park community, and continue to learn from – and alongside – her students and colleagues. Katy recently graduated from Tufts University with a BA in international relations and education. 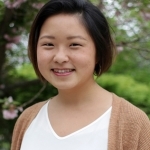 Born and raised in Taipei, Taiwan, Katy became interested in learning about educational systems after going to high school briefly in the US and Germany. During college, she taught with Breakthrough Collaborative in Boston and Hong Kong, Generation Teach in Boston, and a middle school near Copenhagen, Denmark. She was also involved in community organizations in Chinatown and Asian/ Asian-American community-building on campus. An outdoor enthusiast, Katy enjoys surfing, cycling, running, swimming, and climbing in her free time. Katy aspires to be a critical educator and cannot wait to join the Park community! Born and raised in Princeton, NJ, Jonathan is a 2018 graduate of Georgetown University, where he majored in history and minored in classics and Russian literature. At Georgetown, he researched the culture of nationalism among Catholic-Americans in the 19th century, while debating, practicing competitive Quizbowl, and editing opinions for the school newspaper. 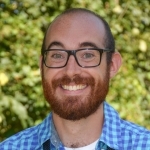 For the past two summers, he has taught history and writing in the summer program at Northfield Mount Hermon School in Northfield, MA. A history-lover and bibliophile, when he is not in a library or museum, Jonathan enjoys kayaking, European soccer, and re-watching episodes of the West Wing. 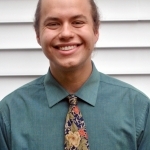 Jonathan is thrilled to explore the Boston area this year and join the diverse and passionate Park community! For the past two years, Isa Moss has been putting her 2016 Hampshire College “Arts Integration into Education” degree to work as an AmeriCorps member with City Year Boston. She served in a 3rd and 5th grade classroom at the John Winthrop Elementary School in Dorchester, supporting students’ attendance, encouraging positive behavior, and tutoring in English Language Arts. As a part of her second year, she was promoted to team leader, where she managed six AmeriCorps members through their first year of national service. Although this experience was incredibly informative, she is eager to begin working directly with students in the classroom again. In addition to her love of educating young people, Isa is passionate about youth theatre and the possibility of incorporating theatrical techniques into the classroom. Isa is very excited to be rejoining the Park community after graduating from Grade IX in 2009. She is overjoyed to be seeing Park with fresh eyes and from the other side. 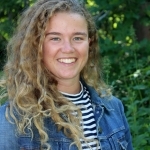 Gabby first joined the Park community as a camp counselor and has enjoyed eight summers of playing, learning, and exploring on the Park campus. In 2017 she received her BA in linguistics and anthropology from the University of Massachusetts, Amherst. Since graduating, she has been involved with Park as an After-School Program assistant, a first grade assistant, and a girls volleyball coach. Gabby is thrilled to join the apprentices this fall! She adores skiing, cooking, traveling, and storytelling and will always, always say “Yes!” when asked to read a book. She recently returned from six months backpacking in South East Asia and cannot wait to share her adventures with her students! 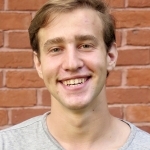 Andrew is a 2018 graduate of Tufts University, where he majored in political science and minored in education. Andrew first became interested in education while working on education policy as an intern at the Scottish Parliament in Edinburgh. Since then, he has worked as a tutor at numerous schools in the Boston area and has spent the past two summers working as a Teacher-Naturalist at Mass Audubon’s Moose Hill Summer Camp in Sharon. Andrew has also enjoyed working as a trip leader for Tufts Wilderness Orientation and playing on the Tufts club volleyball team. Andrew is excited to share his love of nature, music, and teaching as he joins the fourth grade at Park this fall. The Park Parent Turns 50! Previous Story Previous post: Park’s Summer Blockbuster: Professional Development! What is the Upper Division Advisory Program All About?